What is a good Pokemon for Horde EV training? I'm looking for a Pokemon I can use for horde EV training. Really all I am looking for is for one that can learn four multi-target moves, and maybe one that can learn Sweet Scent. And no, I don't mean Smeargle. The reason I am asking this question is that I would like to be able to easily complete Horde EV training without running out of PP, so I can stop relying on Leppa Berries. Surf is enough to take out any horde even if it does not-very-effective damage, you dont need 4 multi-target moves (especially if the Samurott is level 100). I also use a Combee with Sweet Scent and a Talonflame with Fly. Just adding, but Ludicolo can learn both Sweet Scent and Surf. Why did people downvote both of our answerd? not sure why they downvoted. Well False Swipe is good for catching Pokemon but he wants to EV train. Well if you find a shiny you'd have to kill all the other pokemon and it'd be annoying to kill them with false swipe..
First of all, it's impossible to kill anything with False Swipe because if you use False Swipe on a Pokemon with 1HP, that Pokemon takes no damge. Second, there are the 2 fillers, which in my case are Waterfall and Strength. 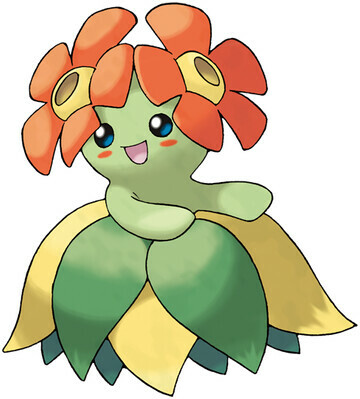 Bellossom can learn Acid, which deals damage to all adjacent foes and has 30 PP. Here's the set I have. Is it bad to evolve your Pokémon while Horde EV Training? While EV training, if you have 250 EVs already and you knockout a horde do you lose out on Evs for other stats? Why am I never getting horde incounters?